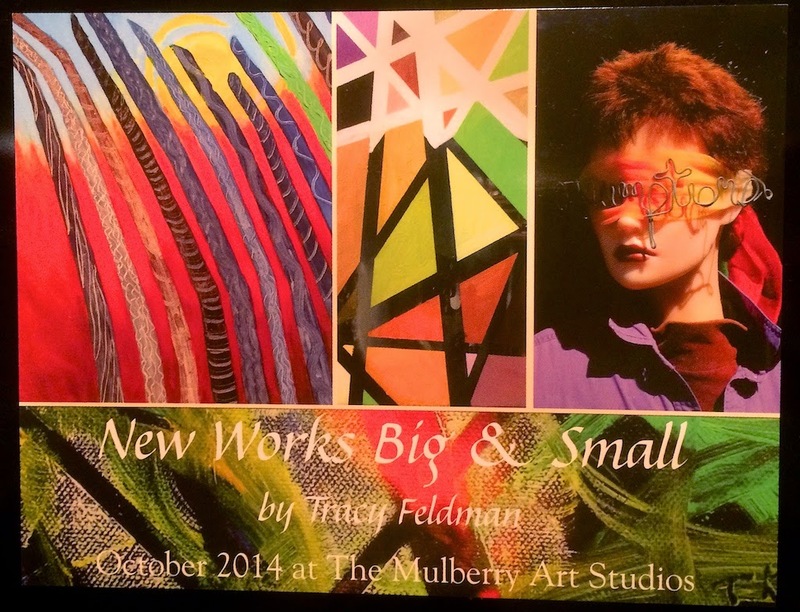 tracyfeldmanartblog: The Show Cards Have Arrived! Want One? I generally don't like the PR part of getting a show ready; it makes me nervous. But designing the poster and cards for the show is closer to art, so I enjoy that. This is a picture I took of the cards that just arrived for me to mail out and distribute. The actual cards are nicer than this picture of them, thank goodness. I had them made online by Staples. The price was good, and would have been even better if I had had a longer turn-around-time for the show. The opportunity to do it landed in my lap less than a month before the opening, and because of that, I needed to pay for fast shipping (which went from free to $26). So if you need to order postcards, I'd recommend them, particularly if you have a longer turn-around-time. Two cautions, however. First I put a message on the other side, and realized when they arrived that I should have used a larger font size for the delicate type face I chose -- stay above 12 points with such fonts. Also, in order to be able to create these cards so inexpensively, they don't allow you to edit or cancel an order after you submit the artwork, even though they have "edit" on the order review form. I didn't notice that, so I added something that I had forgotten to the back, and didn't understand why I had to redo the order information; I ending up getting 1000 cards (at a good price per card, but WAY too many cards) instead of 500. So learn from my mistake and don't do that yourself.